It is at the same time a participant and a clearing party. Given that the BCT has the status of a participant, it is entitled to issue and receive values. It ensures clearing entries, statistics management, arbitration in case of conflict and the system surveillance. Participants: The National Post Office (ONP) and twenty three local banks. Each one has an adherent acting as a mailbox with the Interbank Clearing Company (SIBTEL). 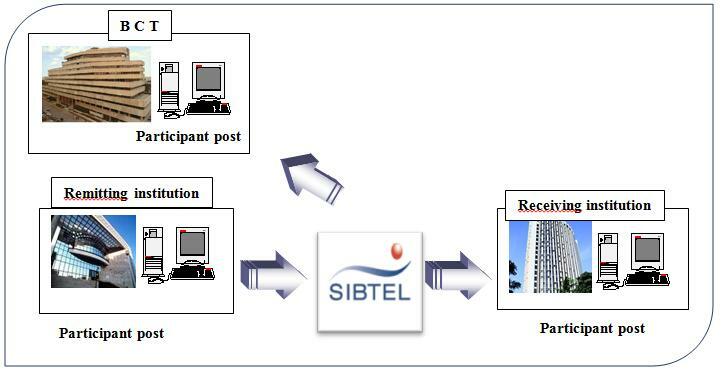 SIBTEL : Was created in 1999 by the BCT, ONP, the banking community and Tunisie TELECOM, the Tunisian phone operator, for the management of clearing and electronic recording. Transfer: Only transfers of amounts below 100 thousand dinars are cleared as of 1999. Migration of transfer clearing from version 48 H to version 24H took place on 22 November 2010. Direct debit: Processed since 1999. Migration of direct debit clearing from version 48 H to version 24H took place on 13 December 2010. Cheque: Processed since 2001 with image and without physical changeover. Migration of cheque clearing from version 48 H to version 24H took place on 9 May 2011. Letter of exchange: processed since 2003 with image without physical changeover. Migration of letter of exchange clearing from version 48 H to version 24H took place on 10 January 2011. The clearing house at the BCT opens once a day two hours after opening of offices. -Holy month of Ramadhan: as of 10H. Manual clearing houses at BCT branches, which total 11, were shut down on 7 April 2003. Members of manual clearing amount to 25: the BCT (presiding over the clearing), 23 banks and the ONP. -Circular governing the procedure for transmission of manual clearing files through the Data Exchange System « SED » (n°2008-23 of 18 December 2008). 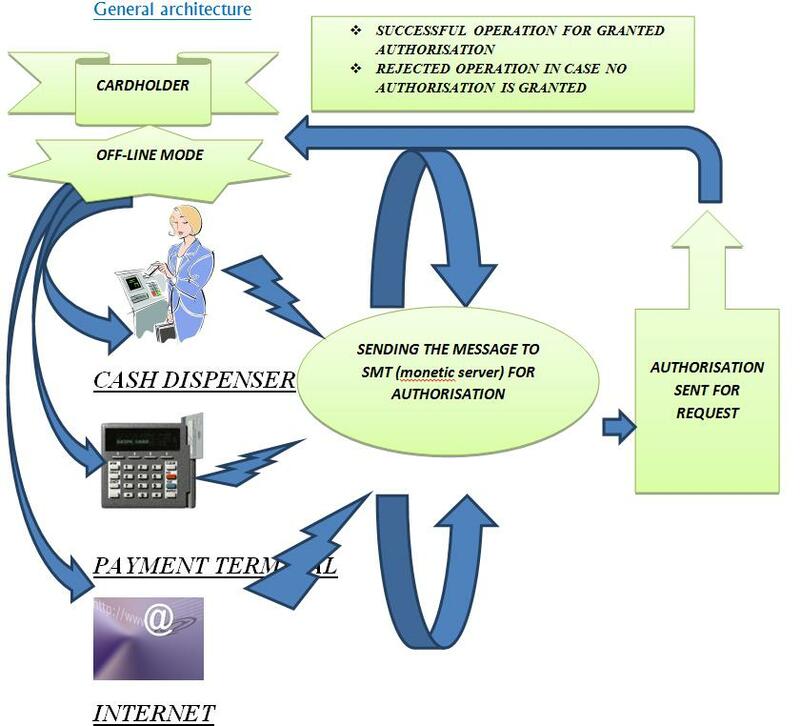 The monetics system is designated around a set of electronic and computer means that help carry out transactions through credit card. · The issuer: the financial institution making the card available to the customer (bearer). · The receiver: the trader or the system. · The acquirer: the trader’s bank or the bank managing the system. In order to develop the use of the card, the banking community opted for a national system helping interoperability. This consensus helps to share the card production and issuing costs. 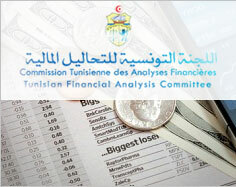 Tunisia Monetics Company (SMT) was created in 1989 in order to process interbank monetic operations and prepare national clearing. The SMT transmits on a daily basis the clearing balances to the BCT to whom it ensures discharge to the SGMT. 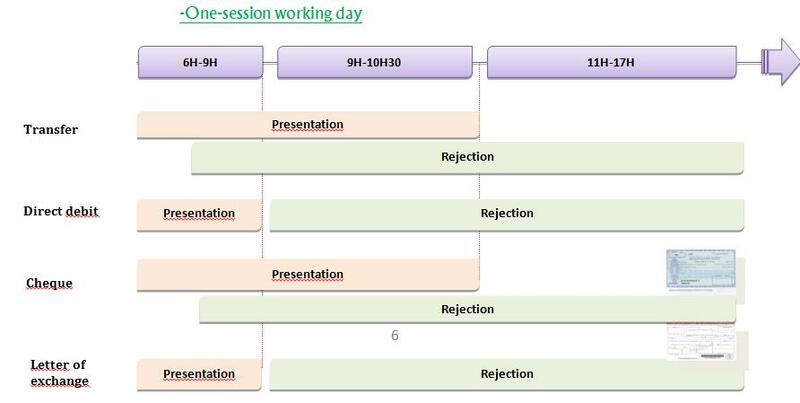 A convention detailing the interbank operating regulation of the monetic system, rules for accepting and issuing cards and arbitrating conflicts, was drawn up and concluded by the different members involved in the system. · Migration towards EMV standard norms, cards, cash dispensers and electronic payment terminals; which provides robust safety functions and enhances national and international interoperability. · Setting up of a solution for instant monitoring of cash dispenser operation to improve the service quality and ensure its continuity. · Institution of a secured payment system « SPS » by the SMT for the banking community, helping to carry out online payments on merchant websites of traders and Tunisian operators available on the internet (STEG, SONEDE, TUNISE-TELECOM, Etc.). SGMT (The Tunisian System for Transfer of Gross Amounts) is the RTGS (Real Time Gross Settlement) managed by the Central Bank of Tunisia. It processes every day some 722 payments on average, with a total value of some 3.255 billion dinars. Set up conditions for a greater financial security for capital markets operations. To reach this target, a legal framework is required and a maximum level of operations should be integrated in SGMT. Boost efficiency of monetary policy management: improving settlement infrastructure for capital markets would improve their liquidity in general, the SGMT being the operating channel for the monetary policy. 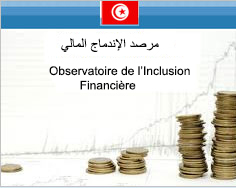 Reinforce attractiveness of financial markets for international investors with respect to international norms in the area of efficiency and security of settlement/delivery of transactions of Tunis Stock Exchange Market (BVMT). The BCT: as an owner, supervisor and manager of the system but also an ordinary participant that issues and receives orders. Direct: manages by itself issue orders in the system and follows up its position via a “participant platform”. It is endowed with a subscription to SWIFT network. Indirect: Holds a settlement account in SGMT, but for lack of technical means, carries out its orders through a direct participant. A participant can be eligible for an intra-day advance if it holds Treasury bonds in coverage of non-remunerated advance and the one to be reimbursed within the same day. 1. Signing a participation convention with the BCT. 2. Paying fees for participation in the system. 3. Technical approval of the BCT with respect to infrastructures of connection of participants to the system. 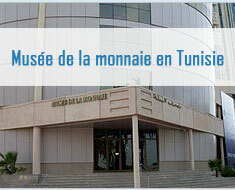 The Central Bank of Tunisia has several roles with relation to SGMT. Answer the different requests emanating from participating banks (HELP DESK SERVICES). · Inform participants about possible changes introduced in the system (change of the exchange day profile, momentary interruption of SGMT services, new operations, admission of new participants, …). Take all preventive and remedial measures it considers necessary and enforcing sanctions in case of a participant breach of his obligation. Work out plans for risk management, continuity of trade flows and possible breakout of contingency procedures facing emergency or unusual situations. In application of article 33 (new) and 33 A of BCT organic law n°55-90 of 19 September1958 providing for creation and organization of the Bank, the latter watches over and guarantee stability, soundness and efficiency of the systems of payment. To this end, the BCT organizational chart provides for a structure devoted to supervision and development of systems and means of payments. Preserving security, stability, soundness, efficiency and effectiveness of the payment systems. Preserving the quality of means of payments made available to users. Boosting the national effort to reinforce financial inclusion of socio-professional categories up to now excluded from classical banking services. Integration of inter-regional payment systems.